Many people mistakenly believe that astrology is forbidden by Torah law and that the Torah discounts it as meaningless. In fact, the Torah accepts that astrology is valid and accurate, and some believe it is an essential aid in Jewish observance. 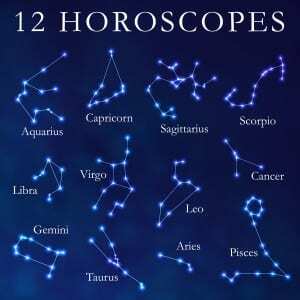 According to the Talmud (Shabbat 156a), the Jewish oral tradition, when God tells Abraham to go out and look at the stars, Abraham saw that according to the astrological formations, he was fated not to have children. God then told him that he would change Abraham’s fate by moving Jupiter from the east to the west, and make his offspring “as numerous as the very stars in which you see you’ll have no children”. 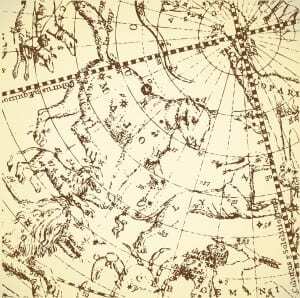 The Talmud tells several more stories of how certain Jews were fated to die by astrological influence, but merit and good deeds changed their fate. At one point, a Talmud teaching (Moed Katan 28a) states unequivocally that “children and sustenance depend not on merit but [rather on] astrology”. Nonetheless, the Talmud also warns against consulting with astrologers (Pesachim 113b). This seeming contradiction is explained in Midrash Raba, a collection of fables from ancient Jewish sages. It tells a parable about a king who conquered a province. Some citizens decided to befriend the newly appointed dukes, but others decided to befriend the king, since ministers, knights and dukes change, but the king will always remain king. The intended lesson is that it is permitted to consult with the extensions of God’s power in the world – i.e., the stars and constellations – but God, their king, is able to trump their influence, and it is therefore preferable to relate directly to him. Kabbalistic astrologer Yael Yardeni explains her approach to astrology and how it is uniquely and inherently Jewish. Torah observance tends to be pragmatic rather than transcendental, structured by adherence to commandments and practical observance. Similarly, Jewish astrology is practical, differing from other approaches which stress fate above action. Yardeni was very clear on that. 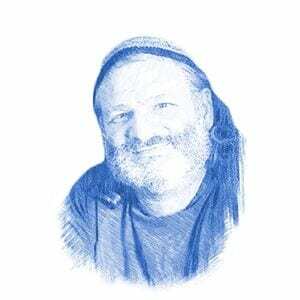 “As Jews, we use astrology to rise above the zodiac and work on our midot (character traits). We are too often in denial about our destructive behaviors such as hatred and anger,” she said. Yardeni learned her approach from studying the writings of Rabbi Avraham Azulay, a Moroccan Kabbalist from the 16th century who wrote about the four foundations of the soul: fire, earth, air, and water. Yaakov Kronenberg, a Kabbalistic astrologer living in Jerusalem, concurs, referring to astrology as the “divine science”. He points out that the name “Abraham” means the father of many nations, and this special relationship to the zodiac is not limited to the Jews. “Not only are the Jews capable of overcoming the stars, but the other nations of the world can transcend the planets by following the seven commandments of the children of Noah, one commandment for each of the seven planets,” he explained.